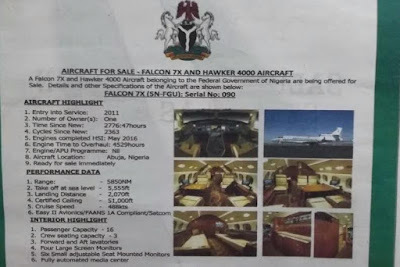 The newspaper adverts for the sale of 2 Presidential aircraft, a Falcon 7x executive jet & Hawker4000 were duly authorized by the Presidency. "This is in line with the directive of President Buhari that aircraft in the Presidential air fleet be reduced to cut down on waste. 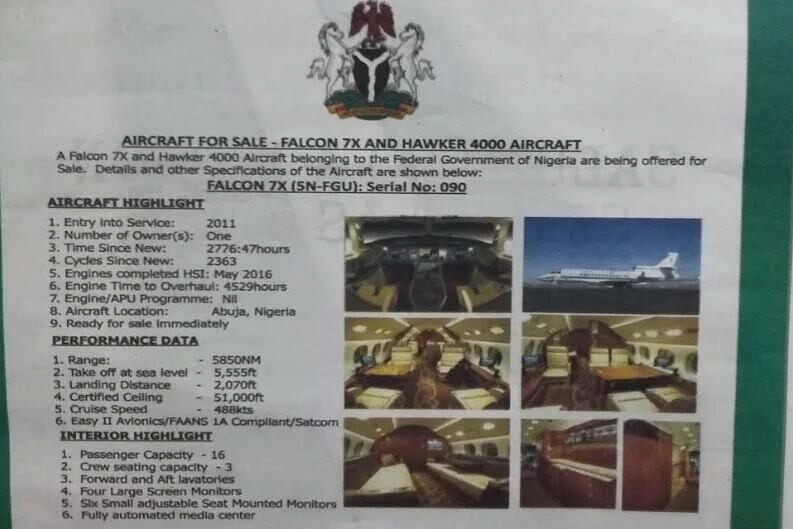 When he campaigned to be President, the then APC candidate Buhari, if you recall, promised to look at the presidential air fleet...with view to cutting down on waste. "His directive to a government committee on this assignment is that he liked to see a compact and reliable aircraft for the safe airlift of the President, the Vice President and other government officials that go on special missions. "I am sure the Commander of the Presidential air fleet will any time from now, call you to a ceremony at which he will hand over some other aircraft to the Airforce for their operations. 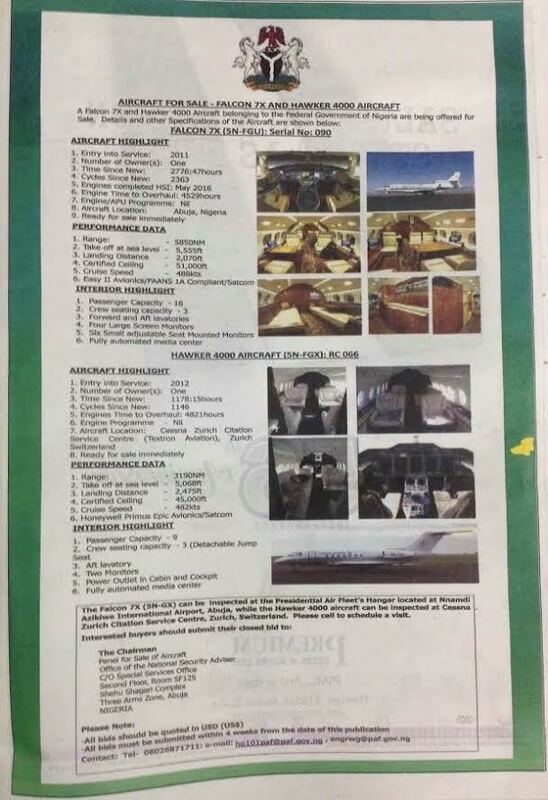 Some of the aircrafts will be handed over to the Nigerian Air force to boost their operations."